Islay is stunningly beautiful, and we both would have fallen in love with it regardless, but the main reason we visited was for the whisky. There are currently 8 distilleries on the island, although there have been many more ‘lost’ over the years. Islay whisky is so very strong and very distinctive, all down to the peat fields that you drive through on your way around. I’m saying all of this as if I tasted any, but don’t actually drink so was purely there as a driver for Husband. Expect dirty looks if you tell the locals and tourists that you’re a teetotaller. Our whirlwind tour started with Husband’s favourite – Laphroaig. 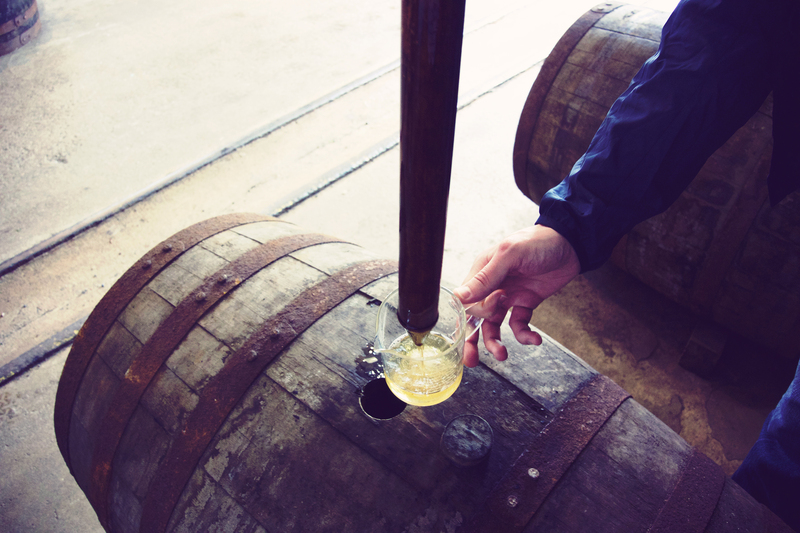 He was treated to a two hour experience – a tour of the distillery, followed by an hour in one of their warehouses tasting three special casks. This was a really fun 2 hours (and introduced us to people we would see again and again from our tour group – Islay truly is a ‘small world’ kind of place). After tasting the casks, we used a wooden suction tube called a valinch to extract a small bottle’s worth of our favourites (well, Husband chose his two favourites). During this first tour, I learnt about something which would save Husband’s liver – the driver’s dram. As I wasn’t drinking, I assumed we’d only have two options for the samples we’d receive – we decline mine, or Husband drinks them all. Fortunately, the distilleries have tiny bottles that you can pour your samples into and take away with you. Goodness knows what would have happened if he had to drink double the whisky. Laphoraig was my favourite tour, and I especially loved the shop and bar area – warm and snug, with free coffee and big comfy sofas to aid recovery. I could quite happily have spent all afternoon here, but we had more distilleries to visit. Next up, we went to Ardbeg – we didn’t actually tour this one as we couldn’t quite fit it into our schedule, but stopped here for lunch at the Old Kiln Cafe where we ate hearty sandwiches followed by clootie dumplings. With full tummies, we drove back to Lagavulin for another hour tour followed by three samples (and some driver’s drams). I found Lagavulin slightly more corporate, although their waiting area was very cute. There were no photos allowed on the tour which made me roll my eyes a little – Laphroaig positively encouraged it – but it was still enjoyable. Two tours was probably enough for the day, so we started afresh the following morning with Bruichladdich. We chose their Warehouse Experience, which was less of a tour and more of a ‘sit in a warehouse and get hammered’. Again, very enjoyable for a whisky fan as you got to sample some limited edition casks whilst sat amongst the barrels, listening to our guide telling us all about life on the island. 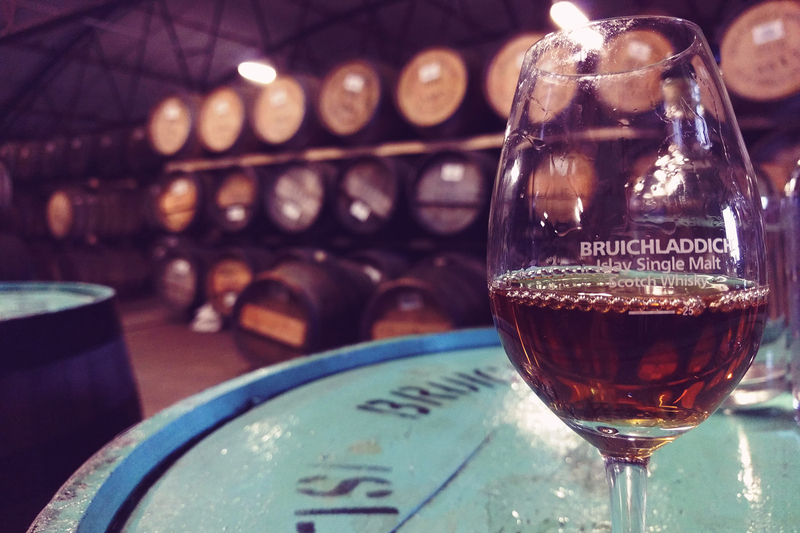 Bruichladdich is noticeably different to the others – they call themselves progressive, and they definitely feel less stuffy, more youthful. They also make a gin called The Botanist so we’ll need to go back and try that at some point as well. Our final distillery on this visit was Kilchoman which was different again. Whilst the first three we visited were right by the sea, Kilchoman is on a farm, more inland and down a long single-track road. They’re a much smaller scale operation, really family-orientated. They really felt like a hard-working team – not that the others didn’t seem hard-working, but Kilchoman is the newest distillery so there was a lot more of a buzz in the grounds. Another added bonus – their small cafe at the back of the shop served amazing cakes which I highly recommend. Four distilleries in two days didn’t seem like a lot, but we were definitely tired. 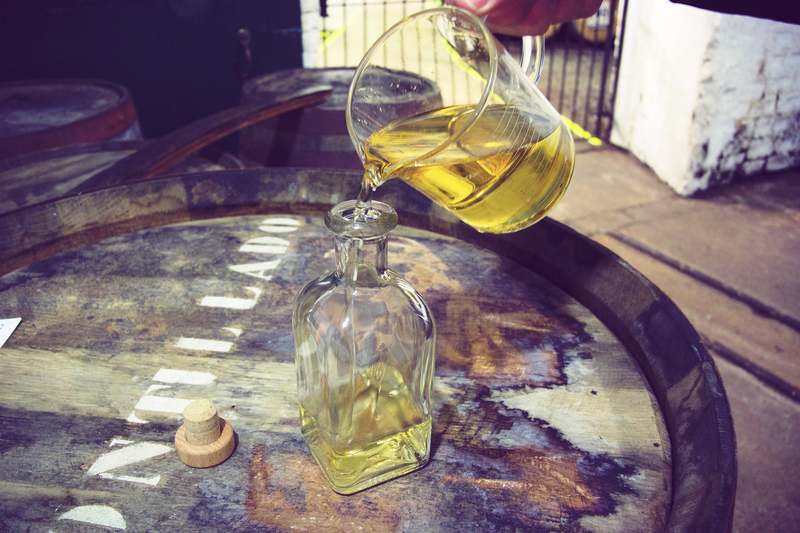 Our next trip needs to be longer – we have four other distilleries to cover off, and we possibly even need to pop over to the neighbouring isle of Jura to samples their whisky too. For a someone who doesn’t drink, I sure have been to a lot of distilleries.